I finally got some extra $$ and I bought a MJS midpipe. Well what can I say other than it's loud. It sounds good and idle and in the low and high rpm ranges but in the mid rpm like 4-7k range it doesn't sound all the good to me. Very raspy and has an odd tine to it. Granite I still have the stock muffle on it right now. 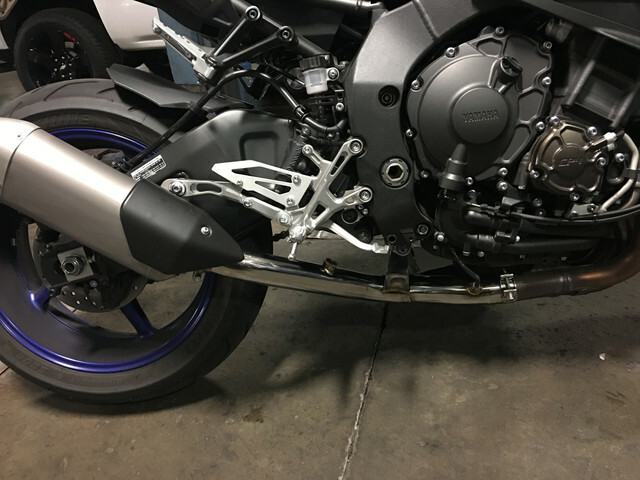 I'm waiting for my A&R motorsport baffle kit to show up still. I'm hoping the baffle tame the raspiness and help with the tone a lot and maybe just maybe quiet it down a tad. Well anyways here's a picture.